Spirit Yachts is delighted to announce Spirit of Callisto has been revealed as the winner of the Spirit of Tradition over 40ft category in the 2015 Classic Boat magazine awards. Launched in 2014, Spirit of Callisto is a 42’ ketch and Spirit Yachts’ first gaff-rigged creation. Voted for by the public, Callisto was recognised for her classic design implemented using modern build techniques. True to Spirit’s iconic design style, Callisto features a Douglas fir, strip-planked and epoxy-sheathed hull, spade rudder, fin keel and ‘classic cream’ Dacron sails produced by OneSails GBR East. Spirit of Callisto is not only eye-catching for her elegant design, she more than holds her own on the classic yacht racing scene. 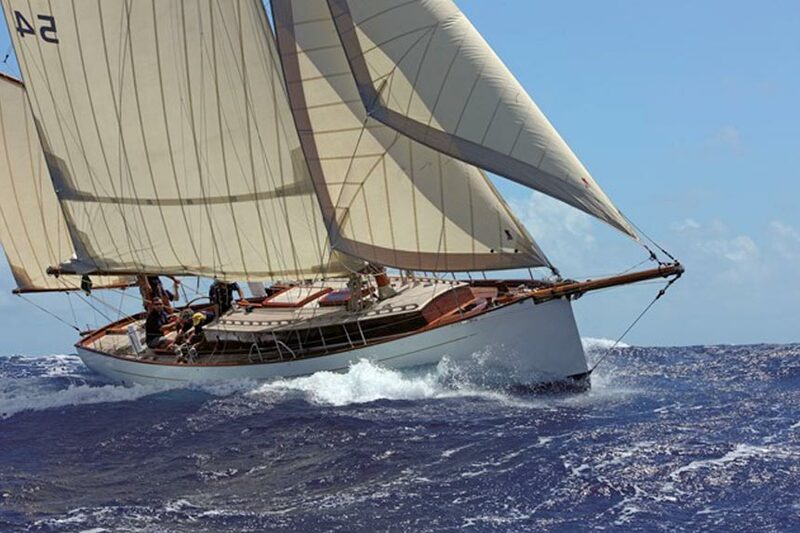 At last year’s Panerai Antigua Classic regatta, her first competitive outing, Callisto won overall in Class D and was presented with a Concours d’Élégance award. As well as her elegant classic design and performance features, Spirit of Callisto is also ticking boxes in the lifestyle department with five berths in three cabins, a fridge-freezer and a two hob cooker with oven and grill. To find out more about Spirit of Callisto or any other Spirit Yacht design, please contact Nigel Stuart: [email protected] or +44 (0) 1473 214715.